First an "Art Shot" - I Love this pic... Thanks Ray!! 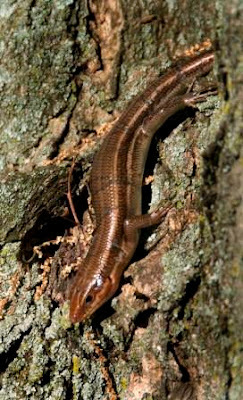 Some friends of mine in the Green Hills area shot these great pics of - what I believe - is a type of Skink. 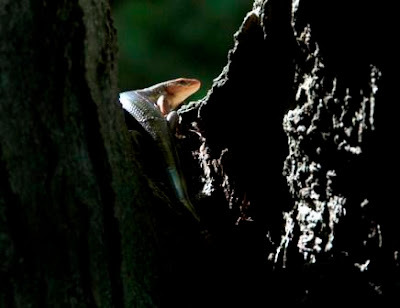 We see these guys on a pretty regular basis here in middle Tennessee. Theirs has taken to tormenting the dogs by sunning itself on the deck and, more picturesquely, the stump adjecent to the deck.